Hinshaw, Benj, age 39, born in North Carolina; farmer; $800 real estate; $300 personal property. Hinshaw, Rachel, age 32, born in North Carolina; keeping house. Hinshaw, Sarah E., age 7, born in Indiana. Hinshaw, Arah [unclear], age 1 month, born May 1870 in Indiana. 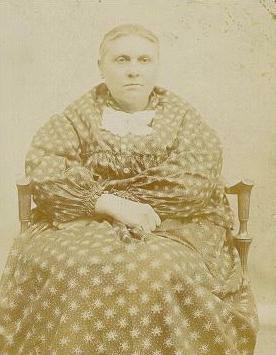 Hutchins, Elizabeth, age 23, born in North Carolina; domestic servant. Hinshaw, Benjamin, age 48, born in North Carolina; parents born in North Carolina; works in wheel factory. Hinshaw, Rachel, wife, age 42, born in North Carolina; parents born in North Carolina; keeping house; crippled. Hinshaw, Sara, daughter, age 16, born in Indiana; parents born in North Carolina. Hinshaw, Orvin, son, age 10, born in Indiana; parents born in North Carolina; attended school. Hinshaw, Otes [unclear], son, age 8, born in Indiana; parents born in North Carolina; attended school. Henshaw Benjamin, lab, res 41 Davis. Henshaw Benjamin, res 41 Davis. Henshaw Benjamin, lab, res 268 S Illinois. Henshaw Rachael (wid Benjamin), res 177 W Washington. Henshaw Sadie, weaver, res 177 W Washington. Frederick Albert P, steward Bates House, res 122 Duncan. Henshaw Rachel (wid Benjamin), res 122 Duncan. Rachel Henshaw (widow Benjamin); address: 23 Wing Pl. Henry O. Henshaw; address: boards 23 Wing Pl. Herman O. Henshaw; address: boards 23 Wing Pl. Mrs. Lottie Frederick; domestic; address: 23 Wing Pl. Henshaw Rachel (wid Benjamin), bds 14 Johnson. Henshaw Harry, agt, bds 14 Johnson. Henshaw Rachel (wid Benjamin), h 584 S Illinois. Henshaw Henry, h 584 S Illinois. Henshaw Herman, wood carver, h 584 S Illinois. 1870 census, Northern Depot P.O., Marion Township, Boone County, Indiana; page 181A, line #36, dwelling #245, family #245. 1880 census, 23rd Ward, Indianapolis, Marion County, Indiana; roll T9-0296, ED 129, page 721C, line #30, dwelling #213, family #239. Contribution from Rick Dahlgren (). Indiana Marriages, 1845-1920; http://www.ancestry.com (Book 2, page 270). 1850 census, Southern Division, Surry County, North Carolina; roll M432-646, page 235B, line #21, dwelling #1084, family #1089. 1880 census, 23rd Ward, Indianapolis, Marion County, Indiana; roll T9-0296, ED 129, page 721C, line #26, dwelling #213, family #238. R L Polk and Co's Indianapolis Directory 1880; http://www.ancestry.com. R L Polk and Co's Indianapolis Directory 1881; http://www.ancestry.com. R L Polk and Co's Indianapolis Directory 1882; http://www.ancestry.com. R L Polk and Co's Indianapolis Directory 1883; http://www.ancestry.com. R L Polk and Co's Indianapolis Directory 1885; http://www.ancestry.com. Detroit, Michigan Directory, 1890; http://www.ancestry.com. Detroit, Michigan Directory, 1891; http://www.ancestry.com. R L Polk and Co's Indianapolis Directory 1894; http://www.ancestry.com. burial permit for Rachel Henshaw; Crown Hill Cemetery burial records. Indiana Deaths, 1882-1920 Vital Records; http://www.genealogy.com. Photo courtesy of Rick Dahlgren ().